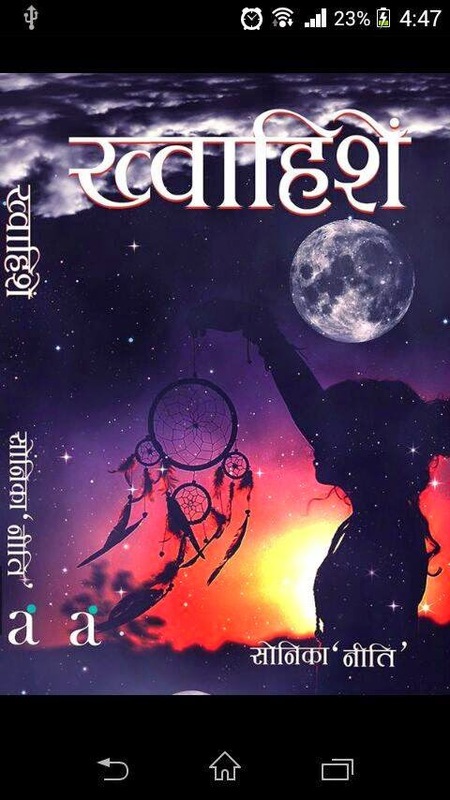 Sonika Niti is a parvenu in the literary field , born for writing and with her skills she indicates that she is here to stay in heart of her readers ..
Age is no bar for this blooming lady author , over a cup of coffee we have a conversation with her about her life n what instigated her to set her feet in this world..
1. You might have been asked in many of your interview's but again i would like to ask you, what made you write?? 2. In your poem 'ruh' , i felt that pain and grief in your words ? Is their any specific incident which is related to that feeling ? 3. Post the release of khwaishein , do you have any plan to come up with some other projects ? Yeah, I do have more plans , to explore more about emotions n feelings n put them in words..
4. When ever u start penning down , have you ever felt that words ain't enough to express your feelings ? 5. Who all are your ideals from the writing industry ? 6. Would you like to give some advice to our debut writers ? Writing is a bridge that bridges soul n life together, a writer should listen to soul n ovserve life's incidences, n be pure in writing... Things come out smooth n excellent..
7. Concluding this interview here , just one last ques , would you like to acknowledge someone or want to give credit to someone ?